Rainpal looks like a well-thought-out invention. It fits to just about any helmet, it gives you multi-speed visor wiping, wiper delay and visor cleaning spray, and it's tested up to 100 mph (160 km/h). It charges via USB and snaps off in seconds when the sun comes out. By any objective measure, it seems like a good idea. We're just having a bit of trouble getting past the dork factor. This oddball invention comes to us from England, where they know a thing or two about rain. I've always had the greatest respect for British bikers; it takes serious intestinal fortitude to ride in the sheer breadth and depth of awful weather Europe's umbrella is capable of providing. Put it this way; if I want to know if waterproof gear is really waterproof, I tend to check what the Brit magazines have to say about it. That context might be important when you're looking at this jigger. Because in many other parts of the world, I suspect bikers will look at a device like this about as favourably as one of those hats with a twirly propeller on top. The Rainpal is a clip-on windscreen wiper for your helmet visor. It fits to any helmet, from full face to open face and flip lids – and if it doesn't fit yours, you get your money back. You fit a mounting plate along the top of the visor with adhesive tape, or with some suckers inside the top of the visor; either way it obscures no more than a couple of millimeters of your view at the top of the visor. Then you stick the 1.3 cm (0.5 in) wide by 1.3 cm (0.5 in) high Rainpal on it, and wipe your way to fame and glory. The visor wiper activates either using a button on the Rainpal itself, or by using a wireless kit that sits on your handlebar. It seems to have most of the features of a car wiper system; variable speed, wiper delay, and if your visor gets covered with crap or dead bugs, you've got the ability to squirt water onto the visor from an internal reservoir, just like you would in your car. The inventors claim it'll help with visor fogging too. Since condensation forms due to temperature differential on either side of a visor, by getting the water off there quicker you're removing a source of cold from the front of the lid. Rainpal charges via USB, with each swappable battery pack lasting about 90 minutes in continuous wipe, or more like 180 minutes with a two-second delay. That's a fair bit longer than I tend to last in a decent deluge, anyway, but if you need more you can always charge it from the bike if you install a USB charger. The system has been tested up to 100 mph (160 km/h). I wish I could say that's the fastest I've been in heavy rain, but I am a silly, silly person. At 150 g (5.3 oz), it adds about 8 percent to the weight of a regular helmet, and it detaches from its mount plate for storage when the sky clears up and you're ready to boogie again. Oh, and as another nice touch, there's a few LED lights built in so you can easily attach the thing in the dark. All in all, it seems fairly well thought out. If you're worried it might scratch your visor, Rainpal says it won't, but they'll ship it with a tear-off anyway to assuage your fears. But there's something that feels fundamentally wrong to me about sticking a windscreen wiper on a motorbike helmet. 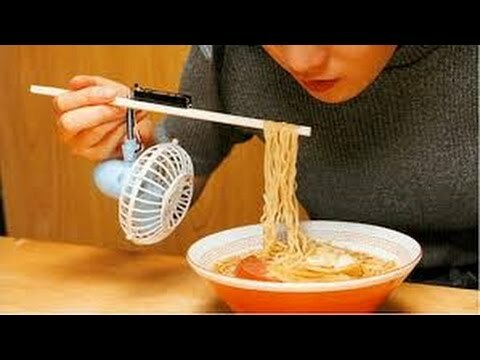 My brain immediately puts it in a category with those chopsticks that have a fan on them to automatically blow on your noodles, or mobile phone holsters, or those little stands that hold an iPad in front of your face when you're in bed. That's clearly my own issue. Objectively, this is a practical gadget for better visibility on a wet ride, and the fact that it's already sold 140 units in the beginning of its FundRazr campaign shows that there's clearly a market for it. One Rainpal sells for £49 (US$70), or £49.99 (US$71.25) if you want it in a truly cringeworthy Union Jack or Stars 'n' Stripes theme. A wireless control unit adds £10 (US$14.25) to the price. The video below provides an overview of the device.